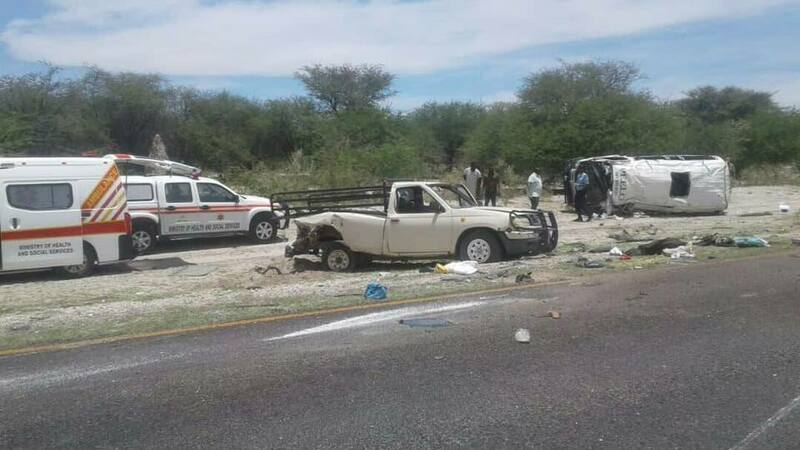 A two-month-old baby girl and a 48-year-old woman died as a result of a motor vehicle accident that occurred between a long distance minibus taxi and a bakkie on the main road between Omuthiya and Oshivelo on Wednesday. 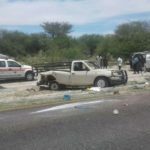 The Namibian Police in Oshikoto Region is investigating a case of culpable homicide, after the driver of a Toyota Quantum minibus crashed from behind into Nissan bakkie at high speed causing the driver of the pick-up to lose control and rolling next to the road. Sergeant Martha Andreas, said the incident occurred at about 12:27 on Wednesday at the Omutsegondjaba Village ten kilometres from Omuthiya. ” It is alleged that driver of the Quantum minibus was trying to overtake the Nissan bakkie but instead crashed into the pick-up from behind causing it to eventually overturn,” said Andreas. Andreas said that besides the driver there were two other occupants in the Nissan bakkie. The deceased 48-year-old woman was seated in the load box of the bakkie when the crash occurred. She was thrown out of the vehicle when it overturned and she succumbed to injuries on the accident scene. The two-month-old baby and 14 other people occupied the minibus taxi. Ten of the older passengers sustained serious injuries and they were transported to the hospital at Omuthiya for emergency medical care. The three remaining people only sustained minor injuries. According to Sergeant Andreas the baby was taken to the Omuthiya Hospital in critical condition but was sadly declared dead upon arrival. Sergeant Andreas said investigators are still waiting for the family of the 48-year-old woman to positively identify her before the names of the deceased persons could be made public.